The entrance to Island Brew Coffeehouse, located on 1137 11th Ave.
As the second quarter starts at Sacred Hearts Academy, students may soon be in need of some brain food or a caffeine kick. Island Brew Coffeehouse, a well-known coffee destination in Hawaii Kai, just opened near campus. With a menu ranging from coffees to sandwiches, Island Brew is another option for students and teachers. When it comes to coffee, this shop has a latte or espresso drink for anyone’s preference. The salted caramel latte and chilled banana matcha are among the more unique options on the drink menu. As for espressos, classic options, like cappuccinos, Americanos and macchiatos are available. Island Brew also offers a chilled alternative to the usual hot espresso, which can be found on its shake or smoothie menus. “I’m normally not a coffee person and am really picky, but I liked (the coffee) and would buy it again,” said sophomore Shelby Mattos, who tried the caramel macchiato when first visiting Island Brew. Those in the mood for tea may also find an option here. Along with the shop’s well-known Island Brew and Specialty Brew, its menu also includes tea classics, like cold brew and black iced tea. Quick and palatable snacks are also available to accompany a customer’s drink of choice. These include sandwiches, acai bowls, bagels and waffles. Each dish consists of fresh ingredients and is nicely assorted, leaving customers in awe over its presentation. With great food, comes great service at Island Brew. The delectable food and drinks are always served with a pleasant attitude. But the friendly atmosphere doesn’t stop at the staff; it continues throughout the restaurant within its comfortable seating areas. “The ambiance of the shop was really peaceful and felt like I was at home,” said sophomore Ragelle Lumapas, who took comfort on one of the many sofa seating areas. Island Brew Coffeehouse is located on 1137 11th Ave. 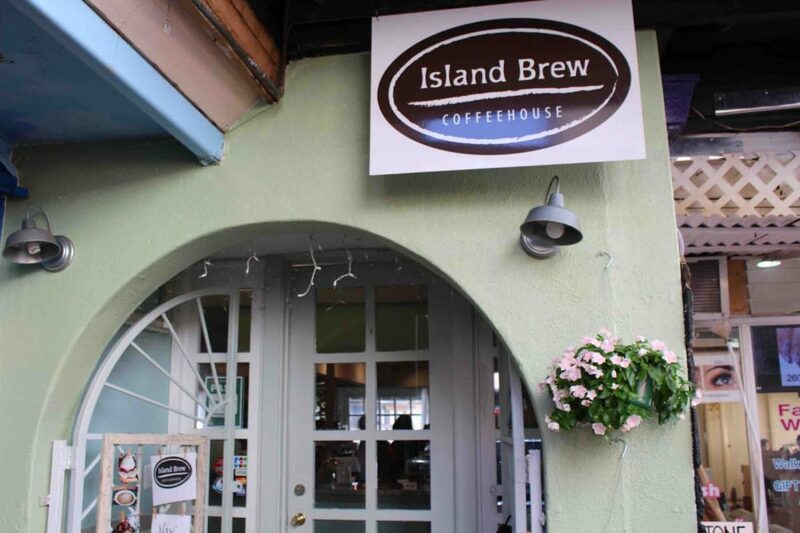 It is open daily, from 6 a.m. to 6 p.m. For more information, visit the shop’s website at http://www.islandbrewcoffeehouse.com/.